We recently announced that our SmartPlay system has been patented in the UK and in various countries in Europe. Although initially SmartPlay was designed to increase the safety of our grass mats by adding an extra layer of padding, there are also other benefits that come with using the SmartPlay system. Read on to find out what common playground problems can be solved with SmartPlay. Our SmartPlay system has a perforated shock pad layer than when used in conjunction with our grass matting options, EcoSmart and FireSmart, and dramatically improves levels of safety. The SmartPlay system is especially beneficial in areas beneath tall pieces of playground equipment. In fact, we strongly recommend using SmartPlay with items of kit with a fall height of above 2 metres. SmartPlay can be installed on excavated ground or can be fitted directly on top of turf to remove ground works and the costs involved. Extremities in weather, such as heat waves and cold spells, often lead to the ground hardening. As such, weather conditions can affect the safety and effectiveness of grass matting. SmartPlay helps to eliminate these worries and ensures that grass mats remain safe all year round – no matter the weather. For areas prone to ground undulations, SmartPlay helps to even the surface. The UK is infamous for its varied weather conditions, in particular, the rain. It’s estimated that on average the UK experiences around 133 days of rain per year. Although unavoidable, lots of rain can lead to poor ground conditions and grass mats can start to sink. The SmartPlay system is great for grass mats sites that have bad ground conditions. When grass mats start to sink, they can rip apart, causing trip hazards. The foam layer installed under the mats encourages them to retain their position whilst still allowing grass to grow through the surface. This minimises the ground damage and in-turn keeps grass mats stable and stops them from falling apart. Grass erosion is a common issue found in playgrounds, especially under swings and around high footfall areas such as entrances and exits. Over time, these areas can start to look unkempt if not properly looked after. Another use of SmartPlay is to incorporate the system with our grass mats in order to stop grass from eroding. If you need to replace your grass mats, SmartPlay helps to ease the process. Installing our system keeps the sub-base stable and creates a maintenance free surface – all you need to do is cut the grass! 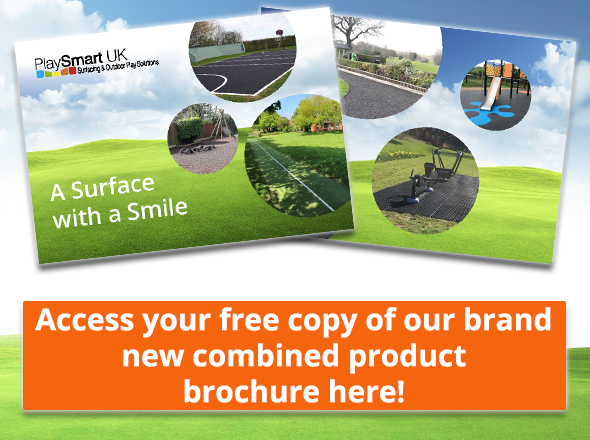 For more information about SmartPlay, as well as the rest of our product range, why not take a look at our brand new product brochure? To download, please click below.